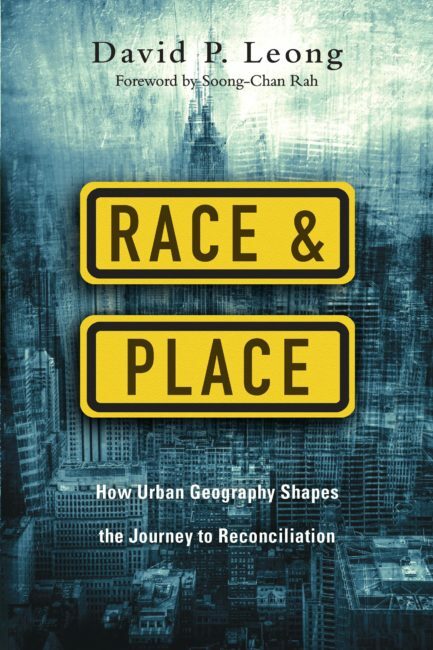 This is the third part of a review of the book entitled Race & Place: How Urban Geography Shapes the Journey to Reconciliation, by David P Leong. Read Part 1 & Part 2. In the first two parts of this series of posts we have been discussing some of the barriers and social blockages that exist between the UK church and the working class/poor. In this part of the book, Leong wants to try and nail down some practical considerations. For him, “The most creative social strategy we have to offer is the church. Here we show the world a manner of life the world can never achieve through social coercion or governmental action.” (p159) I’m not sure that it’s a creative strategy more than it’s a biblical fact. I think the answer to our issues are found in the local church, not because it is creative, but because it is God ordained (see Ephesians 3:10). The most creative social strategy we have to offer is the church. There’s no doubt that most Christians will say a hearty amen to that statement. The reality, however, is far from this ideal. Again, some churches protest and say that their Sunday gatherings are made up of people from all walks of life. But that Sunday attendance is not necessarily indicative of an integrated community life. Meeting together is not the same as being one in Christ. For Leong, “If the church is going to offer some real good news in broken communities, it has to be committed to a place.” (p163) We will not be able to build friendships across social divides if we don’t live near one another, socialise outside the Sunday gatherings and share life together regularly. Surely, we are only truly in community together when we worship together, pray together, study the scriptures together, live together, shop together and love each other? Middle class Christianity has largely reduced ‘love’ to giving people from our communities handouts. I get the impression that biblical love expects more from us than that (on both sides of the divide). Where do we experience belonging, and why? With whom do we most identify, and what does that mean for those of a different class/race? How have we located our lives – residentially, socially, and vocationally – in ways that may simply reinforce our preconceived understandings of identity and community? It is going to take painful steps for those of us across the class divide to bring healing in our communities and churches. It is going to take painful steps for those of us across the class divide to bring healing in our communities and churches. Decades of neglect and misunderstanding will not be resolved overnight. That much is obvious. But we have a Saviour who died for us and to bring down these walls of hostility. We have a great responsibility to the gospel and to one another. Can it be done? I believe it can. But it will take a radical awakening, a lot of faith, some pain, a bucket load of tears and a confidence that the local church is God’s only plan to manifest his manifold witness to the watching world. Where are the poorest parts of my city and could we plant/revitalise a church there? Is there a pastor/planter struggling in a poor community that we could come alongside to help practically with finances and/or people? How many people from poor communities are being trained for leadership in your church? How many of your interns come from council estates/schemes? Are our training days and/or conferences really open to people from poorer communities? Or are they priced out of them? Do the people we put on platforms only come from educated or middle-class backgrounds? Why is that? Are our institutions out of reach for people from poorer communities? Book smart does not always translate to God gifted. How much money and how many resources are you pouring into planting and/or revitalising churches in poor communities? How many grants did you give out to people from council estates/schemes in the past year? These things don’t resolve everything, but it’s a start.